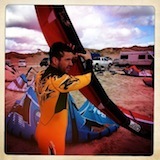 Bay Area Kiteboarding • View topic - Can You Recommend a bar GUARANTEED to work with RRD Kites? Can You Recommend a bar GUARANTEED to work with RRD Kites? I bought used RRD kites this year and have been using my Naish bar with them. I was told this bar should work fine, and I often read things like "any four-line bar should work with a four-line kite," but I have found this not to be the case. Technically, the Naish bar is usable, but it's not as wide as the RRD bar and the lines aren't as long. As a result, the performance is lacking, especially on turns. Unfortunately, the current RRD bar is close to $500 which is way more than I want to spend, and the older models don't seem to be coming down in price. So I'd like to find a new bar, but maybe a 2011 or 2012 so it's more economical, but here's the catch: it has to be known, beyond doubt, that the performance would be equal to the RRD bar. No room for speculation here if I'm spending 100's of dollars. Naish's Universal bar is adjustable from 45-50cm on the 2012 model (46-51cm on the 2011) and is spec'ed with 20m lines. On a 9m and smaller the 45cm setting should work perfectly with your RRD kites. However you'll need 5-6cm more width on the 10m and up sizes, so the Naish bar will not work well (as you've obviously noticed). The shorter 20m lines will also reduce the low end on all of your kites. Note: A one meter (1m) variance between line length is not really enough to notice, so don't get hung up on that. If it's really a concern, then just buy 23m lines and switch them out or buy a bar that comes spec'ed with 23m lines. Note: There may be some other bars out there that can work, but availability here in the US may be sketchy. All the bars I listed are available locally and/or easily found online. I can't guarantee it, but it looks like a Switch bar fits your criteria. You welcome to try one of my bars on your kite and see how it feels. I'm the guy on Switch you've kited with a bunch at the racetrack. new bar cost 275$. the RRD v3, get it used for $150 or less. Its just as good as the v4. definitely test your lines for square by attaching them to your truck and leaning while hooked into your harness. Mine had gotten out of true over the past year and i needed to compensate for the RRD Obsession. I'll take your alaya for $50 Phil. Long shorts and a baseball hat put sideways. F yeah breh.